Is truck wind deflector technology new to you? 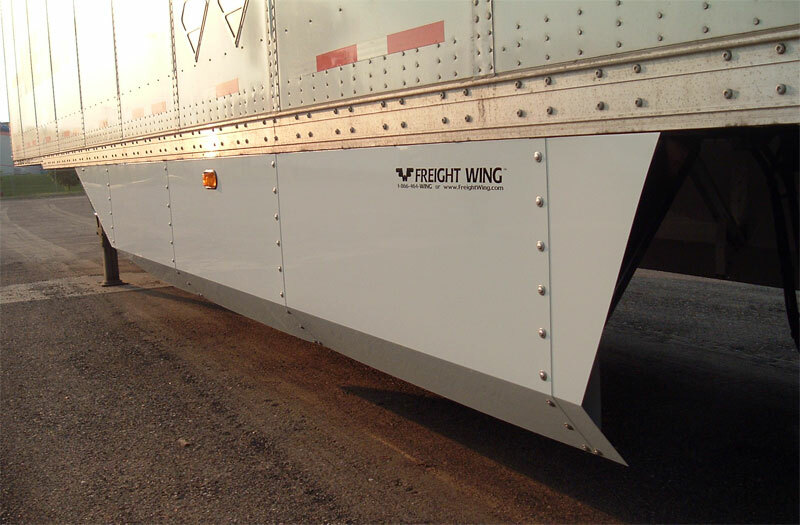 The patented Freight Wing Belly Fairing™ is a legend in the making as the first successful commercial trailer skirting product, launched in 2004. The Belly Fairing is an excellent choice for the more conservative fleet operator who likes to see many years of successful fleet experience before investing in a new technology. The stylish design is seamlessly integrated with the trailer using familiar materials and sheet and post construction. Your fleet benefits from very light weight, easy installation and maintenance, and aluminum sheet construction that can last the lifetime of the trailer. 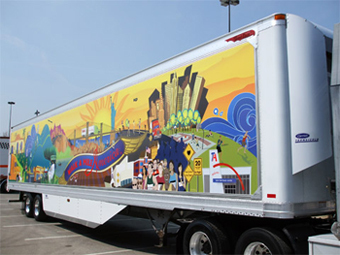 The Belly Fairing is an EPA SmartWay verified technology that will also helps fleets comply with the new California CARB Heavy-Duty Vehicle Greenhouse Gas Emission Reduction Measure. The time tested design of the classic Belly Fairing makes saving fuel simple and is still the best aluminum skirting option available. Add the Gap Fairing for up to 6% total fuel savings. In early 2004, the Freight Wing Belly Fairing produced a 4% SAE/TMC J1321 type II fuel savings result at the respected and independent Transportation Research Center (TRC). This U.S. Department of Energy sponsored testing project was an important milestone for aerodynamic trailer development in that it clearly demonstrated the fact that trailer skirting was superior to any other aerodynamic trailer concepts that were being researched at the time. This lead to multiple testing projects sponsored by the DOE, the newly formed EPA SmartWay program as well as Canadian involvement from the National Resource Council and Transport Canada. With additional positive results validating the initial testing at the TRC, the Freight Wing Belly Fairing lead the way for market acceptance of trailer skirting and brought a new fuel saving strategy into the trucking industry. 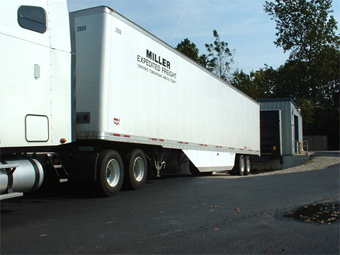 The Freight Wing Belly Faring is easily mounted to nearly any dry van or reefer trailer. The durable aluminum sheet and post construction is similar to the trailer itself and familiar to any shop technician. No maintenance is required beyond periodic fastener inspection. The lower angled flap is specifically designed to bend inward to provide up to 18 inches of ground clearance, so curbs and steep loading docks are not a problem. The entire unit is constructed in a modular fashion, such that individual parts may be easily removed and inexpensively replaced if accidental damage does occur. As the Belly Fairing has shown reliable performance over years and millions of miles of successful operations, its track record is unrivaled among skirting products and is a safe choice for fleets that need this sort of long term validation.